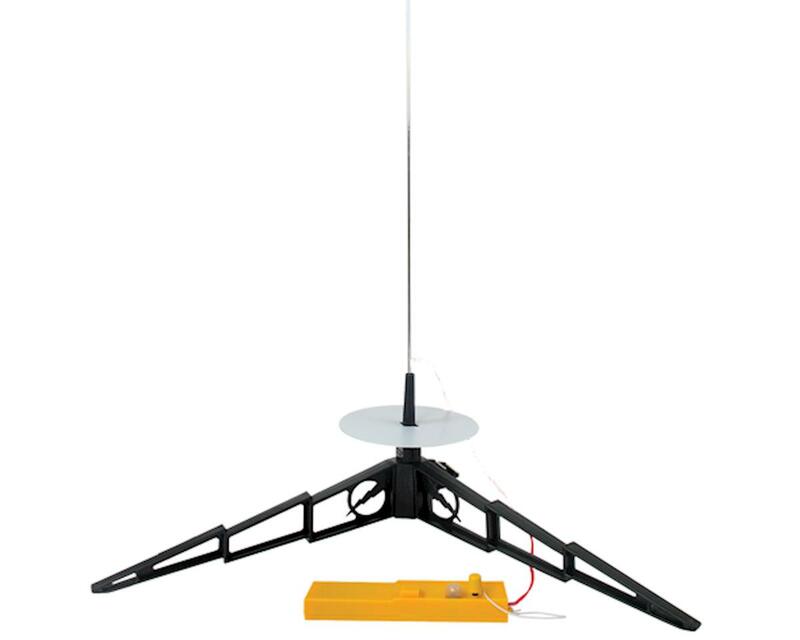 This is the Estes Alpha III Rocket Kit, with an included Launch Set that features the Porta Pad II launch pad and Electron Beam launch controller. Join the hundreds of thousands of people who got their start in model rockets with this classic! 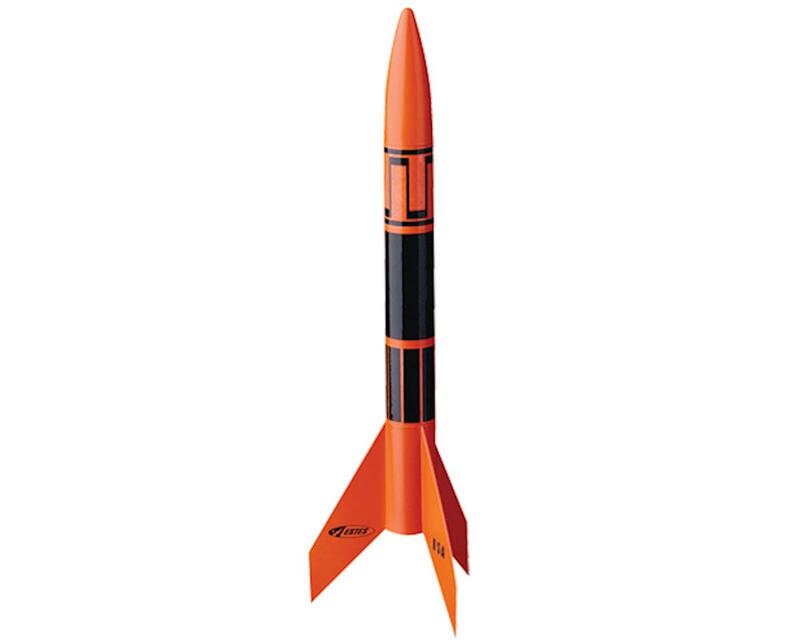 The Estes Alpha III was the very first rocket in the E2X series (Easy to Assemble), and was designed with beginners in mind. With pre-colored rocket parts, no tools required for assembly and easily applied self-stick decals, you're rocket can be ready for liftoff in minutes, all you need is glue! 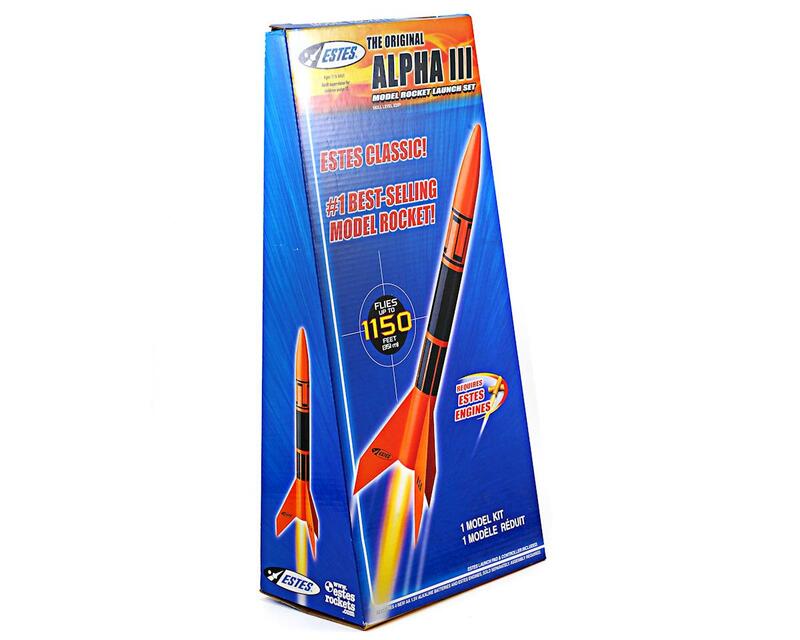 Using standard Estes engines (sold separately) the Alpha III sores to heights of 1100 feet. Whether you're a first time rocketeer or a long time flyer, the Alpha III is a true classic that should be in everyone's collection.